Saddle up partner, for some fast paced buffet restaurant fun in the action packed Time Management game, Countryside Buffet! Looking for something new and exciting in her life, Jessica decides to follow her dream and purchase the 'Countryside Buffet.' The restaurant's grand opening is now only a little over a month away and it still needs some work. 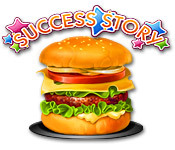 With power ups and careful planning, help Jessica build a success restaurant business! Riding the wave of success in his hometown, Ronnie the Chef extends his Stand Oâ€™Food chain to Tinseltown, where he meets Nikki and Mr. Clarence, and disrupts Mr. Torgâ€™s evil revenge plans. 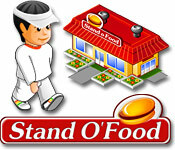 Open restaurants and serve clients fast and healthy food in this fast-paced and exciting Time Management game. Learn new recipes and upgrade your kitchen with the profits earned every day. Jessica&#2013266066;s looking to expand her cupcake shop by dishing up premium pet treats! Get her Bow-Wow Bistro booming by baking yummy delights for pets and their owners. Dazzle guests with decadent d&#2013265929;cor and a kitschy kitchen where culinary creations appease the palates of people and pets. Use your Time Management talents to upgrade your shops and create a menu of healthy, tasty treats! For generations, Louie’s family has managed a restaurant in Paris called Le Classique, one of the finest restaurants in all of France. Then, tragedy strikes, and Louie inherits the restaurant. Despite his efforts, he fails to maintain its standards and satisfy his customers. When an unusual rat helps Louie discover his family’s secret recipe book, Louie realizes it is the miracle he needs. Can Louie master his family’s signature recipes? And can he impress the restaurant critic, Antoine, enough to save Le Classique? From France to New Zealand, Louie’s journey awaits. Follow Rory's story as she visits her hometown after her first successful restaurant business! Rory's Restaurant Winter Rush features an amazing mix of Match 3 game plus Cooking! This game has every genre you love and are already familiar with: Match 3 and Hidden Object! Rory just graduated from culinary school but she's too broke to pay for her school debt! She then has the idea to open a small restaurant of her own, to pay her debts! 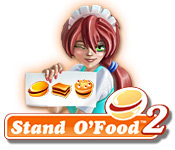 Enter Rory's Restaurant Deluxe, an amazing mix of Match 3, hidden object, mini-games and cooking! The bakery island has been overrun by an army of ants! Help the managers restore broken houses, factories and drive away the invaders in this challenging Time Management game! Help barmaid Betty earn enough to buy a bar in the Caribbean. Betty works in an awful bar - far away from her dream locale - but she serves the most wild and wacky characters around. Your task is to serve the customers as quickly as possible; keep 'em happy and make huge tips, get 'em drunk and they'll stiff ya. With good reflexes and a sharp mind, you can make Betty's Caribbean fantasy a reality. Sidle on up to this fast-paced & addictive game. Open up your very own roadside caf&#2013265929;, and earn money, while treating your customers to delicious fruitcakes with different fillings in Cake Shop 2! Purchase advanced culinary equipment and begin to build your confectionery corporation as your caf&#2013265929; grows! Quickly serve visitors and use unique upgrades to keep your clientele content, and coming back for more, in this fast-paced Time Management game. 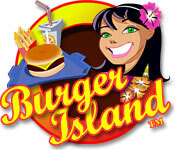 Help our heroine Patty turn around a run-down burger stand in Burger Island( TM ). 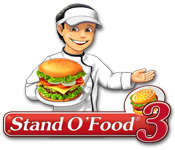 Juggle orders from demanding customers, purchase over 30 exotic mouth-watering recipes, unlock more than 40 delicious ingredients, combining up to 9 per order, all while keeping an ever-watchful eye on the clock. 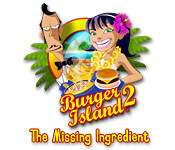 See if you have what it takes to help Patty build the best burger stand on the island!